Jean-Pierre Robinot is a legend! His wines are served in the best wine bars in Paris, Copenhagen and New York. 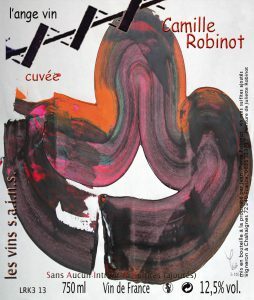 When we drop into the famous l’Entree des Artistes in Paris and ask for the most interesting wine in their cellar, it is a Robinot that is reverentially brought to the table. He’s in his early 70s with the energy and enthusiasm of a teenager. He had one of the first natural wine bars in Paris, called l’Ange Vin, and, while living in Paris also was one of the founders of Rouge et Blanc, still one of France’s most influential wine magazines. But he eventually sold the bar and in 2000 bought a vineyard, just out of the village of Chahaignes, where he now lives. It’s also where he grew up. This is almost midway between Tours and Le Mans in the Loire Valley, although more specifically in the Loir Valley (the Loir is a tributary of the Sarthe River which eventually flows into the Loire River. He has about 10 hectares, split across several locations. Some of the vineyards would be classified as Jasnières if he worked within the appellation rules. He and his wife Noella began by buying small plots of old vines and also planting new patches of Chenin Blanc and Pinot d’Aunis (an exciting local variety of red grape). Chenin Blanc is widely grown but Pineau d’Aunis is rarer and generally only grown in parts of the Loire Valley. Pineau d’Aunis makes wines with the same weight as Pinot Noir – so relatively lightly-coloured, but it is much more spicy and herbal. We generally find that people who like the slightly bitter herbals flavours of amaro and campari like wines made from this grape variety. All his wines are fermented naturally (often very slowly over more than a year) and his still wines in old barrels in humid cellars cut directly into the hills many years ago, some so old that it’s hard to believe that they stay together. He is patient, holding wines in barrel until he believes they are ready, which can sometimes be more than 5 years. Jean-Pierre has two domaines that he releases his wines under. 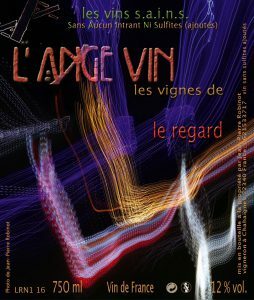 The first in Les Vignes de l’Ange Vin where the wines are made from plots of vines that he owns and manages organically and biodynamically. 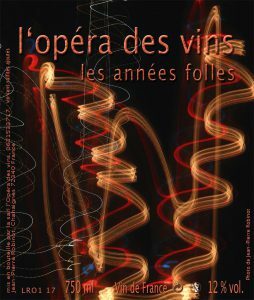 His other wines are released under the L’Opera des Vins label. Here he buys the grapes from friends who also manage their vineyards in the same way as Jean-Pierre. In both cases, the approach to the winemaking is the same. This is a fine example of the wine genre known as Petillant Naturels – wines that are fermented once in the bottle and then sometimes disgorged to release the dead yeast and sometimes not, depending on the winemaker. This wine has been disgorged after being aged for 12 months in the bottle and topped up with the same wine. It is made from 100% Chenin Blanc that has had no dosage (added sugar), therefore is quite dry. The wine is incredibly delicate with very fine bubbles and a superb, lingering finish, reflecting the careful aging that the wine has undergone. Clear and bright in the glass, this pet nat is a treat for anyone who appreciates this genre of wine. This lovely Petillant Naturel wine is made from Chenin Blanc (60%) and Pineau d’Aunis (40%). The grapes are sourced from vineyards in the Jasnieres appellation but they do not seek endorsement from the appellation committee, preferring to label the wine as Vin de France. We have just received this wine the last batch of which was disgorged when we visited the Robinots in mid July this year. This lovely Petillant Naturel wine is made from two of the favourite grape varieties of the central Loire region around the city of Tours, namely Chenin Blanc (60%) and Pineau d’Aunis (40%) for this vintage. The grapes are sourced from vineyards in the Jasnieres appellation but they do not seek endorsement from the appellation committee, preferring to label the wine as Vin de France. This wine is very delicious and has almost an onion skin colour from the Pineau d’Aunis grapes. It has been released earlier than the l’As des Années Folles Pet’Nat to ensure freshness and liveliness. However this doesn’t detract from the trademark complexity and depth of flavour of wines produced by Jean-Pierre. It has a fine bead and lasts for a long time on the back palate. A very complex pet nat! The Charme is a lovely Chenin Blanc that has been matured in old oak barrels. Old oak is used by the vast majority of natural winemakers because the old barrels no longer impart that overpowering vanilla flavour to the wine. Instead, they allow a little oxygen to reach the wine ensuring that it will last longer in the bottle. This wine is absolutely intriguing! The Charmes vineyard is over 40 years old and was bought by Jean-Pierre and Noella about ten years ago in the Jasnieres district. The soils are quite chalky and this can be seen in the wine. The oxidative treatment of the wine by Jean-Pierre ensures that the wine will last for a very, very long time. Expect this one to last for fifty years or more! 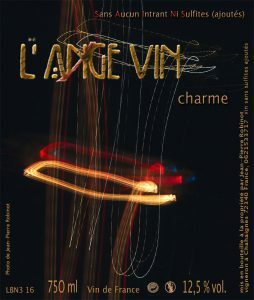 The 2009 Charme has 40 grams of residual sugar. The Bistrologie is a beautifully-crafted, classic expression of the Loire Valley’s favourite grape variety, namely Chenin Blanc. The grapes are harvested from very healthy 30 year old vines that have benefitted from not having been sprayed with herbicides or pesticides that degrade the soil. The vineyards are also managed using biodynamic principles that ensure that the soil is healthy along with the creatures and fungi that thrive in these soils. It has power and finesse simultaneously – something that is not easy for a winemaker to do. The vines are now over 60 years old and the soil comprises clay made from decomposed red flint sitting over chalky limestone. The result is a profound white wine that is already drinking beautifully, but will continue to improve for many years. There is no sulphur added to this wine at any stage. We also have a small allocation of the “Super” Juliette made from vines that are over 100 years old! Robinot points out that this is a “vin d’une extrême finesse avec une grande énergie”. Pineau d’Aunis is a native grape of the area around the city of Tours in the Loire Valley. While it is little known outside this area, it is a grape variety that can be used to create exciting red wines of great complexity and interest. This lovely Pineau d’Aunis comes from vines that flourish in soils of red clay, quartz and limestone in the Jasnieres appellation even though Robinot has not applied for appellation status. We just love Pineau d’Aunis! It has spice notes (think white pepper, cloves, star anise) and some herbal characters at the end making quite a complex yet light and drinkable at the same time. It is rapidly becoming one of our favourite grapes especially when you find profound examples such as this and the highly drinkable and pure examples of Pascal Simonutti that we also import. There is no sulphur added at any time during the winemaking process and the vines are certified organic by Ecocert. It is not aged for as long as the Camille, so is perfect for immediate drinking. It is a light and joyful wine that still has structure and complexity from the purity of the fruit and the barrel ageing it receives. If you read the description of the Lumière des Sens above then you will know that we are very keen on wines made from the Pineau d’Aunis grape variety due to the finesse of the grape, the lovely tannins that give the wine structure and the slight herbal bitterness at the end of the palate that is characteristic of wines made from this grape variety. The only difference between the Lumière des Sens and the Le Regard is that the Regard was matured in a fibreglass tank rather than wooden barrels. As with the Lumière des Sens there are no added sulphites in this wine. At a recent tasting in Melbourne we received a lot of favourable comments about the freshness and vitality of this cuvee. It is the only wine made by Jean-Pierre that is aged in these fibreglass tanks. This wine is made from grapes picked from vines in the same vineyard as those that are used in the doubly expensive Camille wine. 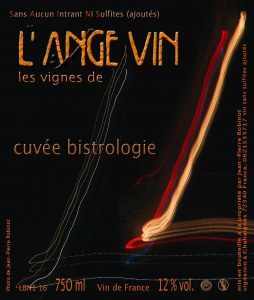 This red wine is made from the lovely Pineau d’Aunis grape and the wine has been matured for 12 months before bottling! 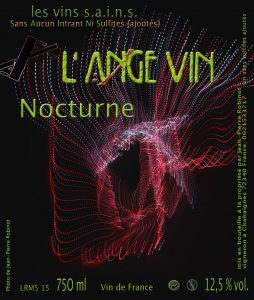 Nocturne is the same vineyard as is used to make the Camille Robinot, but the Nocture is made using the ‘young’ vines which are only 80 years old. For the Camille he uses the 110 year old vines. The Nocturne is aged for approximately 12 months on lees in old barrels. No filtering, no fining and no sulphites have been added at any time in the winemaking process. This wine is another beautiful example of the elegance of the Pineau d’Aunis grape. This is the sister wine to the Juliette Robinot. It has spent a lot of time maturing in old oak barrels and the result is unbelievable! It is rich, complex, almost opulent, but is lively and expressive with taut energy showing in every sip! The wine was bottled after spending 3 years on lees and no filtering or fining was carried out. The vines for this cuvee are 110 years old! The combination of the very old vines and the long barrel aging should see this no-sulphites wine last for ages. It is a wine for contemplative drinking. 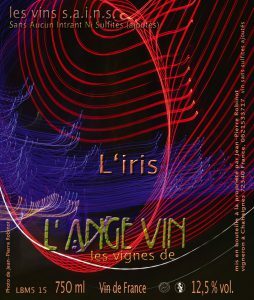 We also have a similarly limited supply of the 2003 Lumière de Silex which was bottled in 2005 but was held back by Jean-Pierre to allow it to develop in the bottle. When we tasted it in July this year we were stunned by the freshness and complexity of the wine. It is totally amazing! This one is $340 bottle.